They made me an offer I couldn't refuse, so beginning this Saturday the domain kgb.com will be pointing somewhere other than the KGB Report. KGB Report will now be found at, appropriately enough, https://www.kgbreport.com. 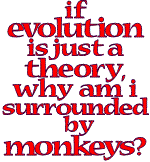 Please click on this link NOW and update your bookmark. Right now all it contains is a link that directs you back here, but shortly will contain all of kgb.com's content. My personal e-mail address is now kgbarkes@gmail.com. In fact, it's been the "reply to" address for emails sent from kgb.com for quite a while now. 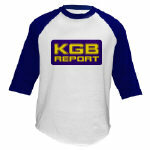 KGB Report should be back on the air and hopefully back to normal by this Monday. Please bear with us through the inevitable glitches.